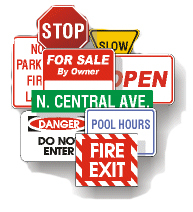 Imperial Signs & Graphics is a one stop sign company, where you can order any type of signs. We take pride in our meticulous and prompt service. 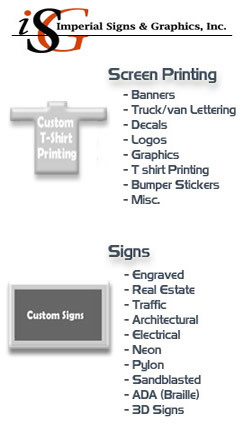 Imperial Signs & Graphics has been in business for 14 years, in the Washington-Baltimore area. ISG is a diverse Sign and Graphics company, which adheres to the highest industry Standards. It is our hope to be of service to you, and bid on the upcoming signage for your projects, We guarantee you savings of over 15%, compared to your current sign vendor. Our turn aournd time on sign delivery is 3 to 4 days from order date.